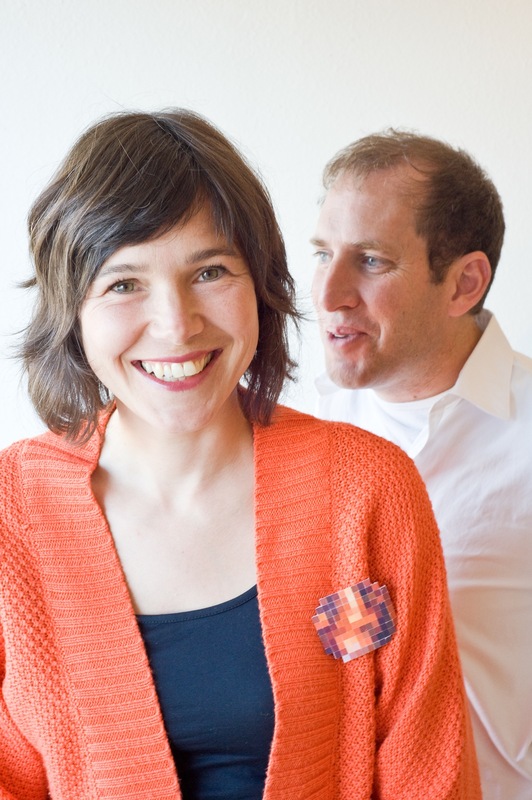 Mike Simonian and Maaike Evers are founders of the progressive industrial design studio Mike & Maaike. Maaike is Dutch; Mike is Californian. They were named by Fast Company as one the 100 most creative people in business. Most recently, they joined forces with Google to design technology products. For a quick snippet on the couple and their design process, check out this video produced by Haworth, the manufacturer of their iconic Windowseat chair. We moved to San Francisco because it is a nice cultural balance between Europe and the U.S. We find the people and nature inspiring as well as the optimism in the air. Also, it’s a small, walkable big city. We live in the Inner Sunset and like the small town feel. 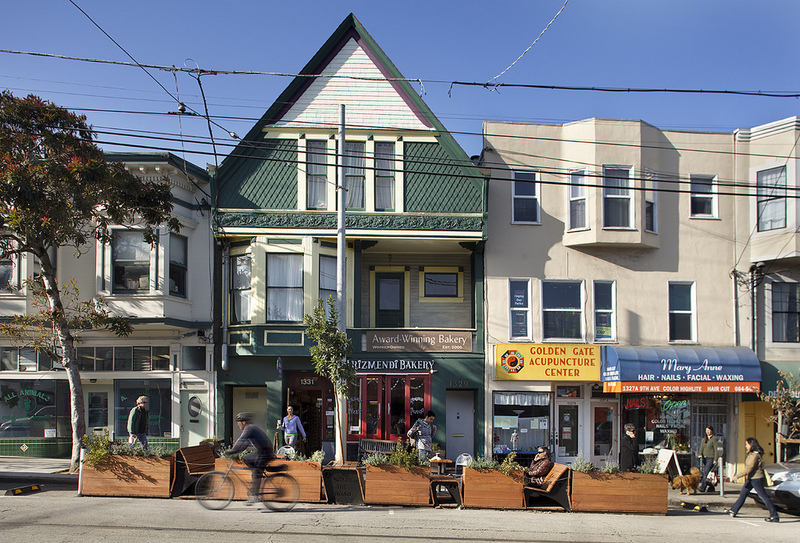 We can hop on the N Judah train and get to many places in the city quickly – from downtown to the Outer Lands / Ocean Beach. The ocean is inspiring. We both surf. The other main attraction is Golden Gate Park which is super close. What are your go-to spots in your neighborhood? We’re usually at home or riding our bikes. We have two kids (ages 5 and 7) and we ride around the neighborhood and Golden Gate Park. I ride Maaike’s old yellow Dutch bike and Maaike rides my bike. Living in a flat portion of SF is great for biking. One of our regular spots is Arizmendi Bakery on 9th Avenue. Maaike gets a Cappucino and an oat scone. The kids and I like the currant scone and a milk. Then we ride to the park, passing the de Young and Academy of Sciences, and over to the funk roller skating spot. The first day we took our daughter’s training wheels off, she wanted to ride there in the middle of all the crazy roller skaters. Since then it’s sort of a tradition. 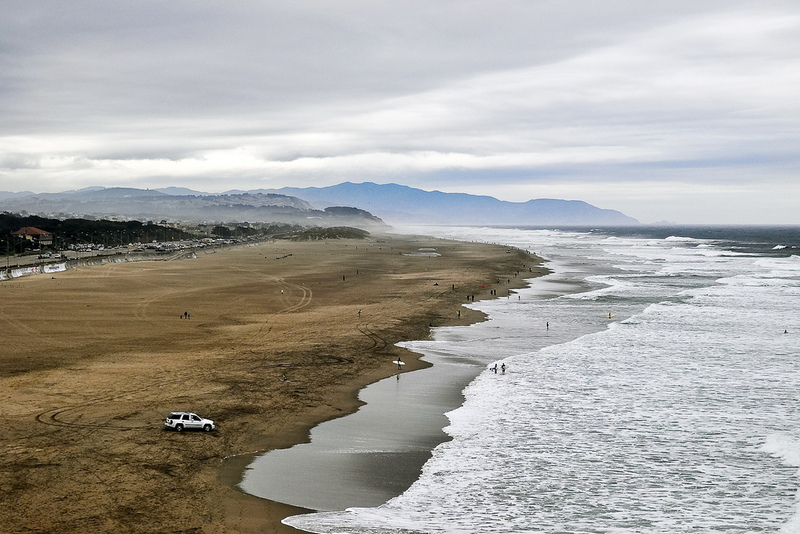 From there, we sometimes ride to Ocean Beach or Baker Beach. The other place we go a lot is Linda Mar Beach in Pacifica to surf and play in the waves. We just upgraded our kids wetsuits to 4/3 mm thickness so they can stay warm year round. 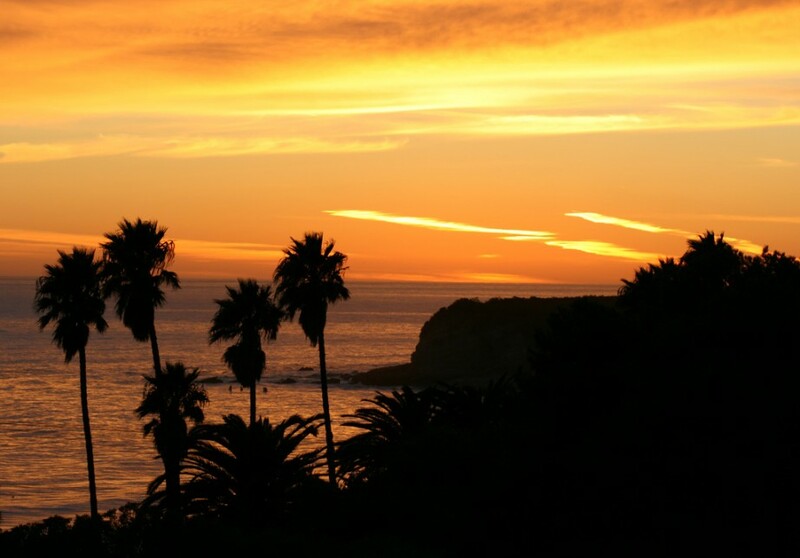 What are your favorite weekend getaways in California? We go to Sea Ranch once a year. There are some great 70s modern houses to stay, nice walks, deer, tidepools. 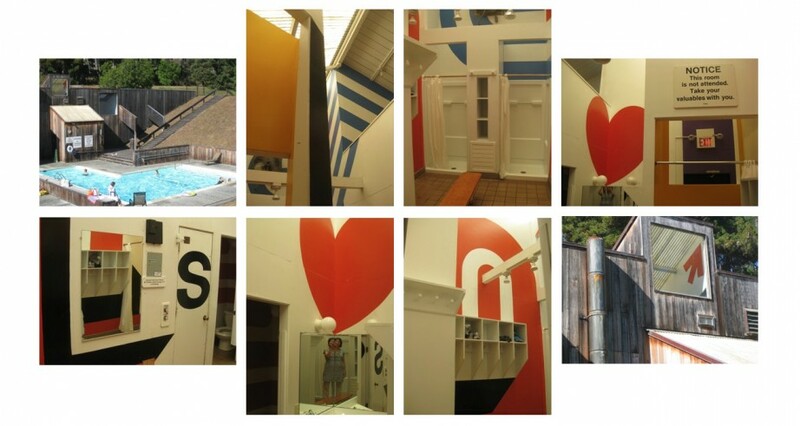 The changing room by the pool has some beautiful vintage supergraphics. 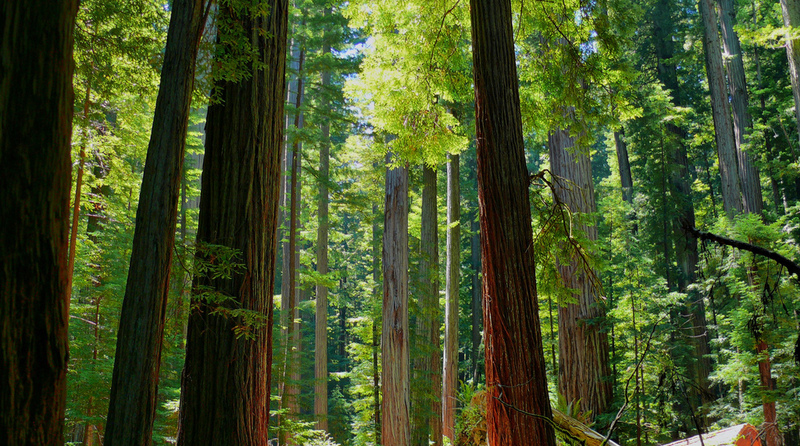 The other place we went recently was Humboldt Redwoods State Park. The trees are unbelievable. At the nature center, you have to see the movie about a flood they had in 1964. We just did our first family surf trip over the holidays. We got to surf at some of our favorite places. We started in Santa Cruz and surfed Pleasure Point. Then Goldenwest in Huntington Beach, Trestles and Swami’s near San Diego, and back north to Rincon in Ventura, and Refugio just north of Santa Barbara. We camped and stayed in hotels. For the first time with the kids, we played it by ear and didn’t book a place to sleep till just before dinner each day using a phone app. That made everything feel more laid back, relaxed and spontaneous. Better than spending tons of time on the computer months before booking everything ahead of time, reading reviews and staying up too late, no? 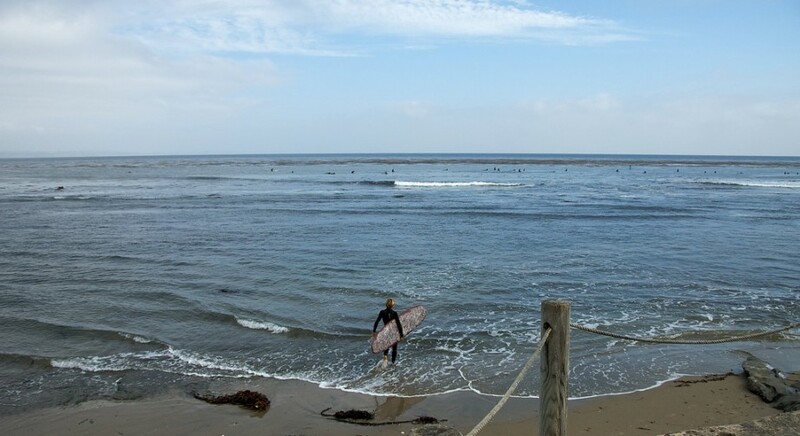 Of all the places we like to surf, I think Trestles at San Onofre State Beach is the most magical. The kids don’t like the walk so much but they love playing in the water. It’s like soup with all the seaweed and sea life in it. 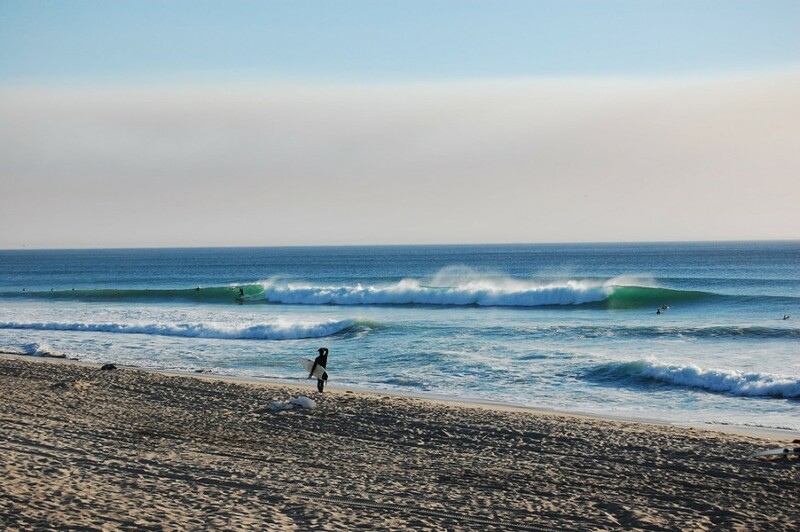 I love surfing there – mostly Uppers. The waves break just right. Trestles is dolphins and evening glass off of a sunset painted sky. Then a long walk back up the path, cold feet defrosting, followed by grabbing some firewood and food to take back to the campground to cap the day. A perfect evening. Refugio is also really sweet. 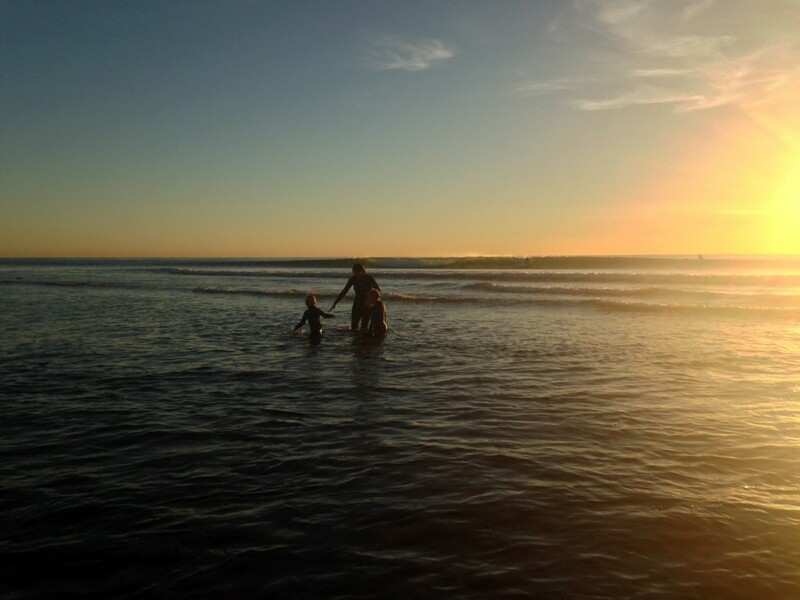 We met a couple there that was heading down to Todos Santos in Baja with their kids for a few months – home schooling. That was pretty inspirational. Two weeks later, they were in Mexico living the dream. Meanwhile, I was in Las Vegas at CES (a tech & electronics trade show). After chatting with Mike and Maaike, I recommended that they see the movie Surfwise and check out The California Surf Project to further indulge the timeless allure of the California surf safari.